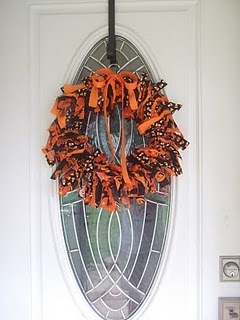 I’m sure many of you have great frugal ideas for Halloween or Fall decor. When it comes to wreaths, I feel like I have almost done it all…and then someone comes up with another cute idea. I love this one because it is truly CHEAP and EASY! No sewing, no gluing, no experience with floral arrangements! 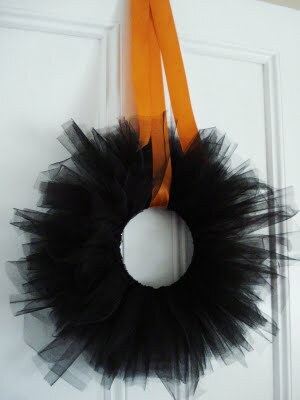 You could also make one with halloween-looking fabrics for a more folksy look, like this one from A Little Bit of Everything. Or, use ribbon like The Long Thread did. If you have some frugal fall decorating ideas, send them over and maybe I’ll just showcase one! Thanks for sharing Moms by Heart.